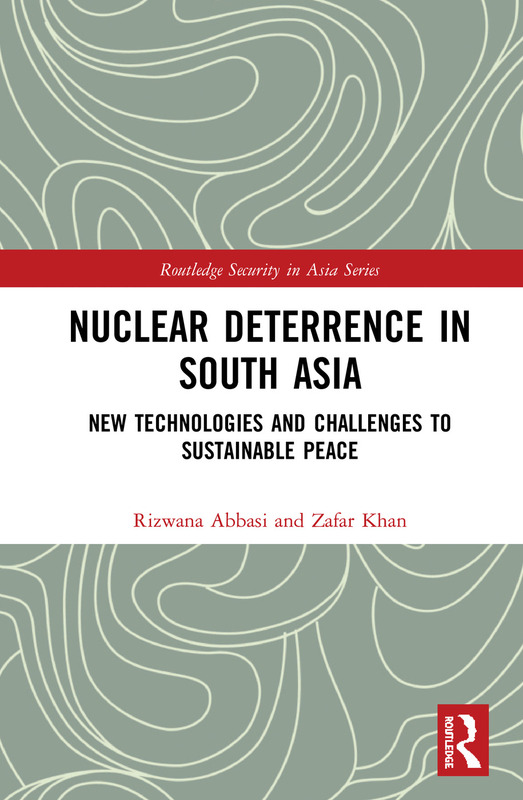 This book explores evolving patterns of nuclear deterrence, the impact of new technologies, and changing deterrent force postures in the South Asian region to assess future challenges for sustainable peace and stability. Under the core principles of security dilemma, this book analyses the prevailing security environment in South Asia and offers unilateral, bilateral, and multilateral frameworks to stabilize peace and ensure deterrence stability in the South Asian region. Moreover, contending patterns of deterrence dynamics in the South Asian region are further elaborated as becoming inextricably interlinked with broader security dynamics of the Asia-Pacific region and the interactions with the United States and China’s Belt and Road Initiative. As India and Pakistan are increasingly becoming part of the competing strategies exercised by the United States and China, the authors analyse how strategic uncertainty and fear faced by these rival states cause the induction of new technologies which could gradually drift these competing states into more serious crises and military conflicts. Presenting innovative solutions to emerging South Asian challenges and offering new security mechanisms for sustainable peace and stability, this book will be of interest to academics and policy makers working on Asian Security studies, Nuclear Strategy, and International Relations. Rizwana Abbasi is an Associate Professor in the Department of Humanities and Social Sciences at Bahria University, Pakistan and a fellow of East West Institute, New York, USA. She is the author of Pakistan and the New Nuclear Taboo: Regional Deterrence and the International Arms Control Regime (2012). Zafar Khan is an Assistant Professor in the Department of Strategic Studies at National Defence University, Pakistan. He is the author of Pakistan’s Nuclear Policy: A Minimum Credible Deterrence published by Routledge in 2014.